I’ve got a fun skittle mani to share today. I wanted to try out my Pretty Nifty Thrifty water decals as an accent mani. So I used one of the “Streaks” decals on my ring finger. Each set includes 12 decals which is enough for one full set of nails with a couple of extras for accent nails. 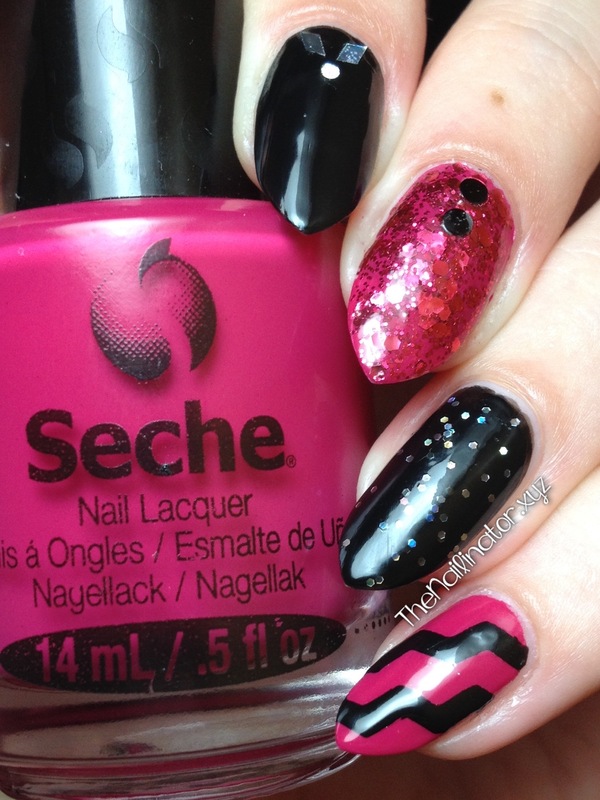 Check out my review of these great decals to see my application tips. I did an ombre with the rest of the nails and added some triangle studs I just purchased. I think this looks really cool. Don’t you? I received a bunch of compliments on them. 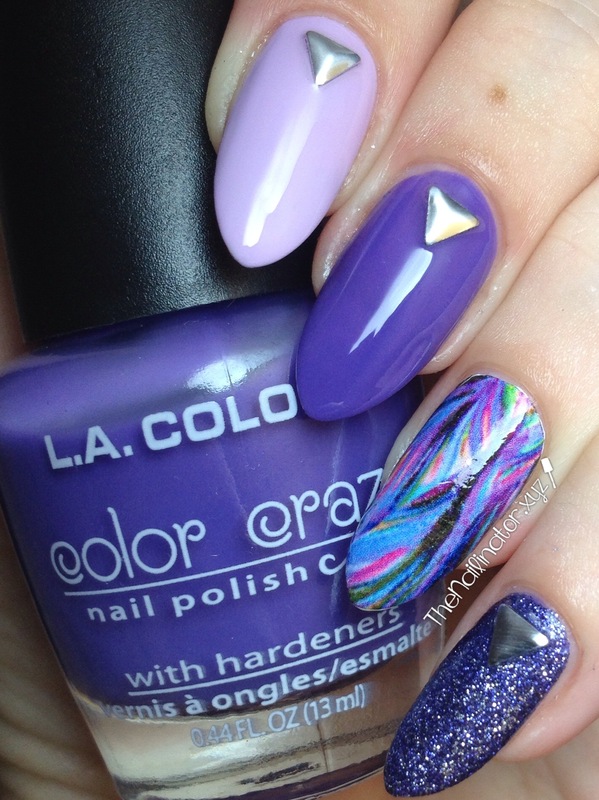 Want to know what these pretty purple polishes are? I used a coat of white under the water decal to keep the colors vibrant. I’m not sure why I can’t get the decals to photograph as clear as they look IRL. But they really do look great. If you are following me on Instagram you already know this… But Pretty Nifty Thrifty is generously sponsoring a giveaway (open to Philippine residents only). Three lucky winners get their pick of 3 sets of decals as a prize. All you have to do to join is follow @thenailinator and @prettyniftythrifty on IG, repost the picture about the giveaway with #pntgiveaway, and tag a few friends. What are you waiting for? Go! Go! Go! Winners will be announced on Sept. 20!